Why do bands do this? Release the deluxe versions on CD! Nice packaging and sound but lots of background hiss. Shame. I don't know if anyone cares but I just picked up a copy of this and its a misprint, the labels on disc 2 are on the wrong sides... anyone else had this problem? Great sounding records for a great album. The packaging is very nice and the vinyl itself feels of high quality. Yeah, the overall consensus seems to be the great packaging + sound (but needing a sound bump), and I can agree with all of that. Highly recommend picking this up. Anyone else have a version where the second record has side 3 twice? It doesn't have a listing here and if I were to guess I would say it's probably unofficial. 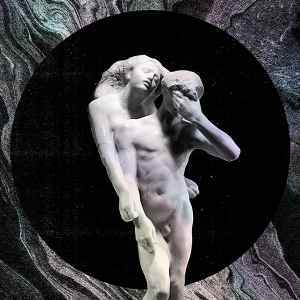 The Canadian band Arcade Fire stands since 2004 on the cutting edge of alternative music and rock for the masses. The band around the couple Win Butler and Regine Chassagne speed its own price, but sells very well. Without really to fit in with current trends and even without major label, saves each new plate in as a bomb. The fourth problem Reflector was via a clever marketing campaign is already a hype before anyone had heard some of it. At the appearance of the Demir reactions unprecedented lyrical. The electropop that on The Suburbs (2010) Watch came around the corner, now demands a large role on. Arcade Fire sounds because of this, and thanks to the addition of Haitian percussionists, different than before. It is melancholy and theatrical of the first CDs back. With a total playing time of more than five quarters is that the achilles ' heel of Arcade Fire. Reflector is really just ' powerful ' in both senses of the word. This is pop music with a capital p. and a capital O, still a capital P, capital M. .. Enjoy, but listen in moderation. I'm thinking, i'm sure, it's the best album of 2013.